Clutter is our number one enemy especially for homes where there are kids. But with or without kids, there is still a great chance for clutter especially if you are busy and you do not much time to keep your things. Well, you don’t have to worry anymore because there are actually so many ways to get rid of all the mess and clutter. 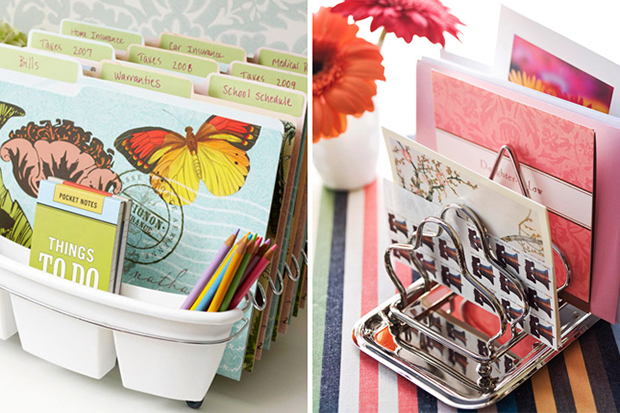 It won’t take an entire hour to create some home organization hacks. As a matter of fact, you won’t need to spend much for it too. I know you have seen much of hacks these days but just in case you haven’t seen the ones in the list, I am sure you will be able to make good use of them. You might even have tried making some but you can still try doing the rest too. If you are an organization freak, then this is the list for you. What is amazing about this list is that these are all DIYs and you won’t even spend a penny for some of them. 1. 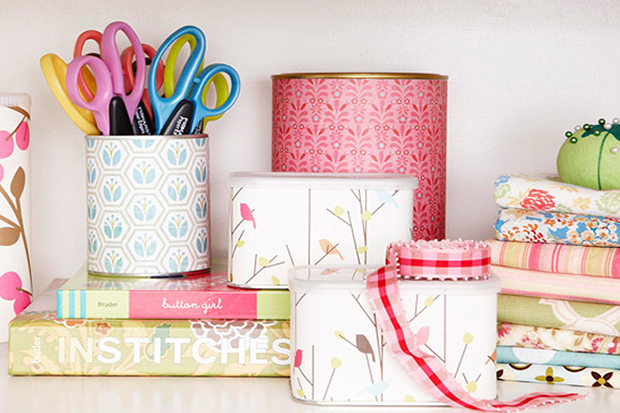 Cute Upcycle Cans and Tins will be perfect to store pens and other valuable things. 2. Got old crates? Why don’t you turn them into lovely wall storage? Just paint them with pastels colors and it will look very charming. 3. 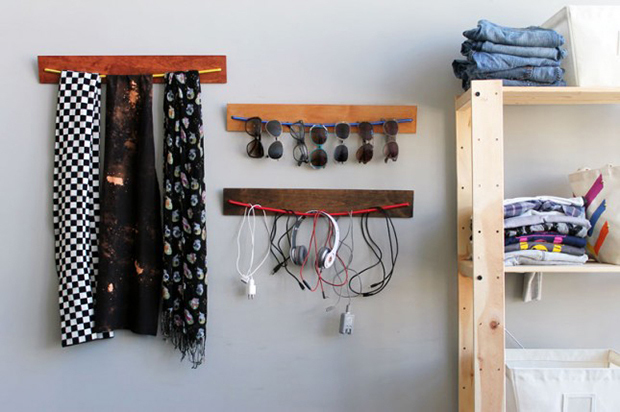 You can hang anything you want in this DIY Wooden Bungee Organizer. 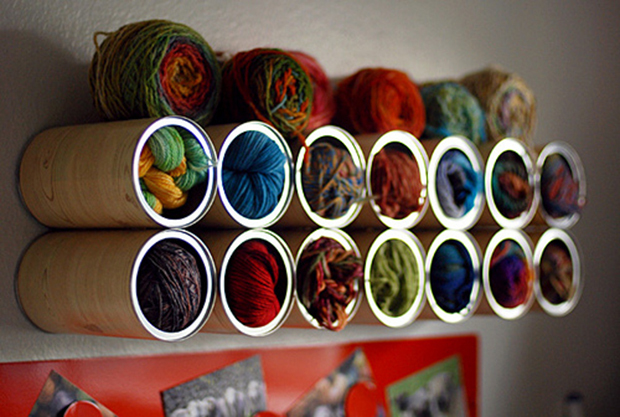 Make use of different colors for the string so you can get a fun looking wall organizer. 4. 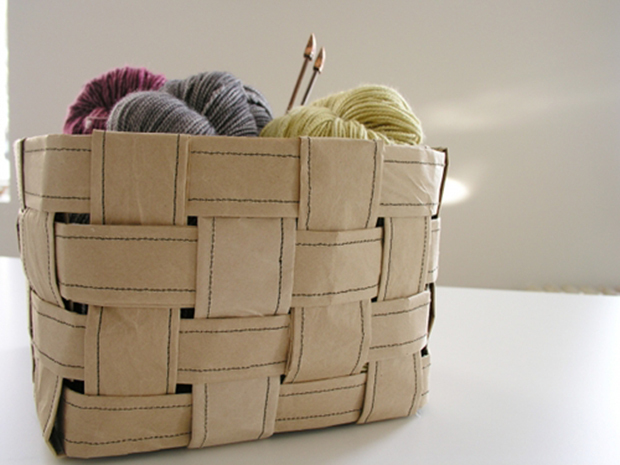 These coffee can cubbies are holding yarns in them with pretty colors. Just install the coffee cans on the wall and you are done. 5. 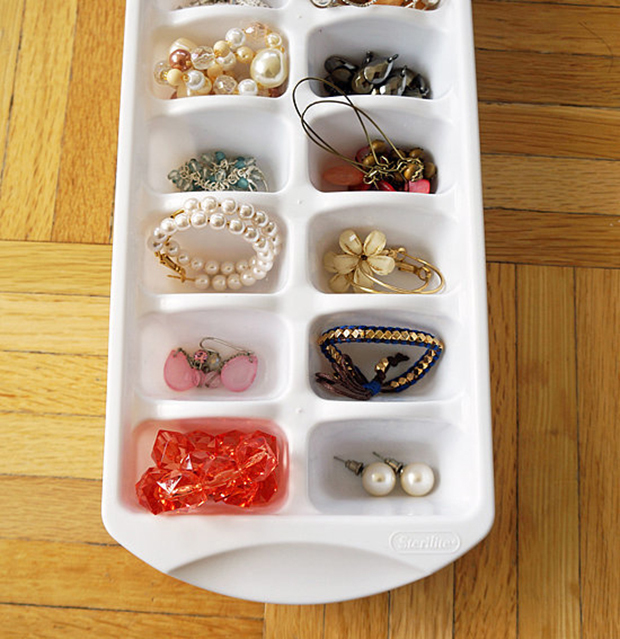 If you have an ice cube tray that you no longer use, why don’t you turn it into an organizer of whatever stuffs that are merely scattered around your home? Well, as long as they fit in the ice cube tray of course. 6. I have seen so many uses of toilet paper roll but one impressive usage is this chord organizer. Washi tape it for some design. 7. 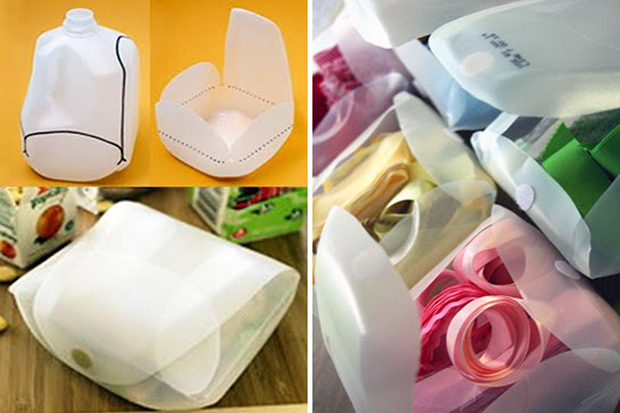 A dish drainer and other kitchen items can be used to store some files creatively. 8. 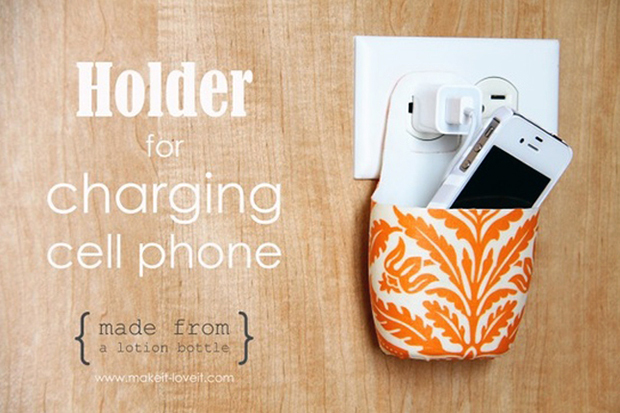 If you have an empty lotion or shampoo bottle, you can cut it and turn it into a cell phone charging holder. 9. 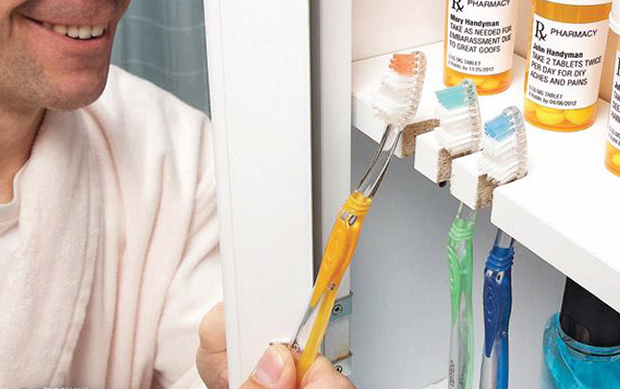 Cut some slots in your wooden cabinet so it can be an instant toothbrush holder! 10. 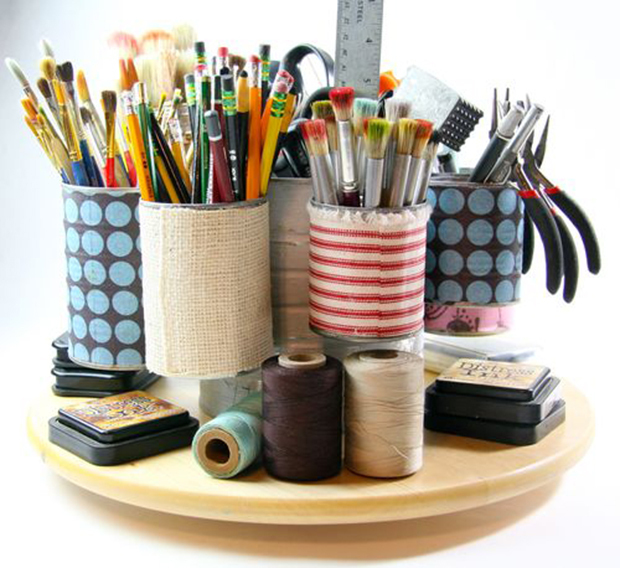 You can avoid all the clutter in your drawer cutting and wrapping cereal boxes and use them as dividers. 11. Got plenty of paper bags? 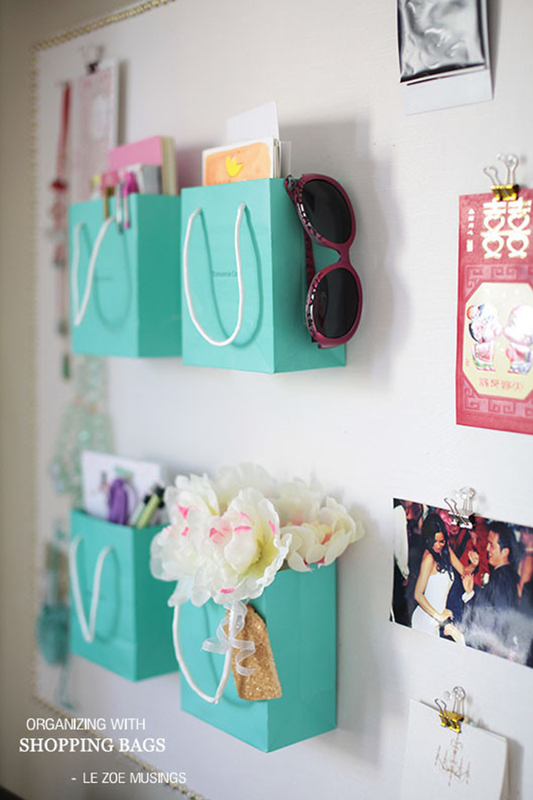 Attach them on the wall an use them as storage. 12. 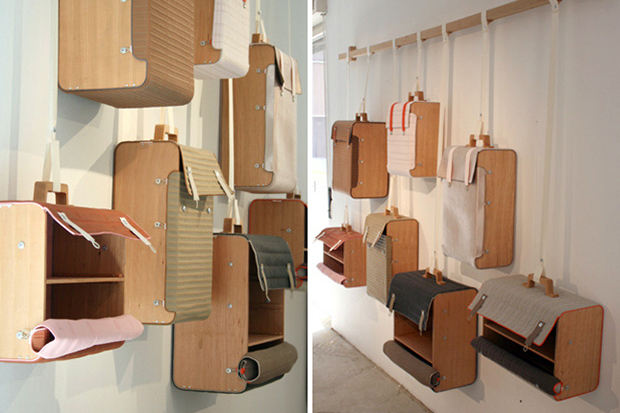 These hanging suitcases aren’t just for storage but they do look like artistic wall installations. 13. 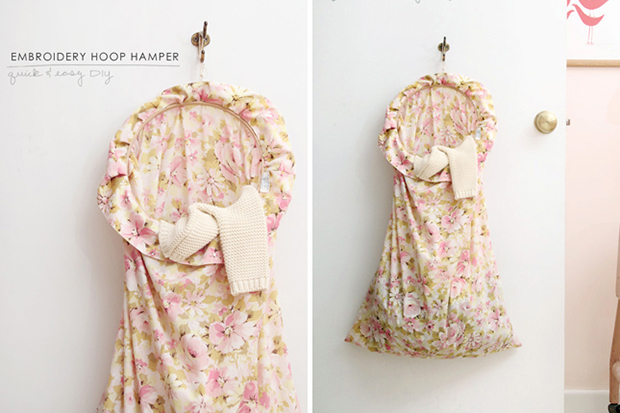 Use an embroidery hoop hamper to keep your dirty clothes in them without looking messy. 14. Don’t throw away old spoons. 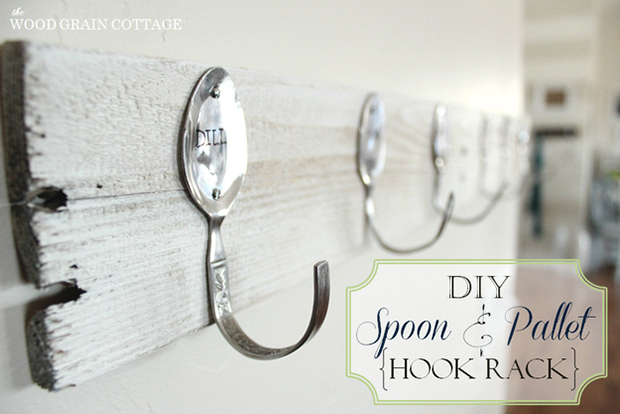 Instead, bend them and turn them into hooks for a hanging board. 15. 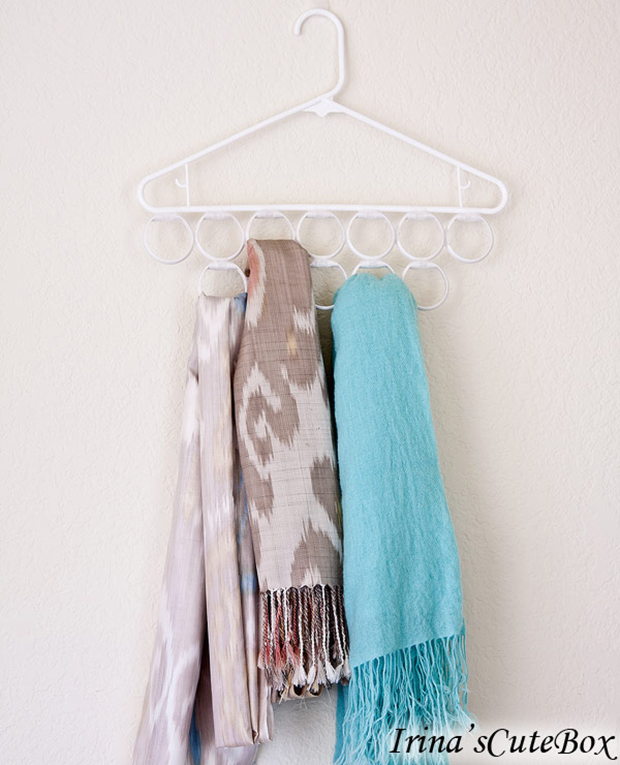 You will no longer find any scattered scarf with this DIY Scarf Hanger with rings taped to each other. 16. 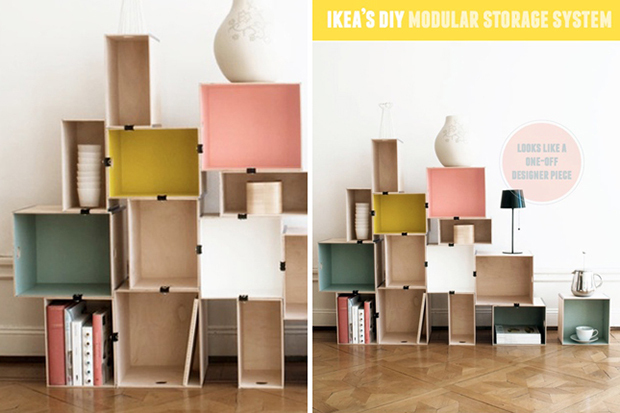 Put together some crates, stationery clamps, and paint to get a stylish modular storage like this. 17. 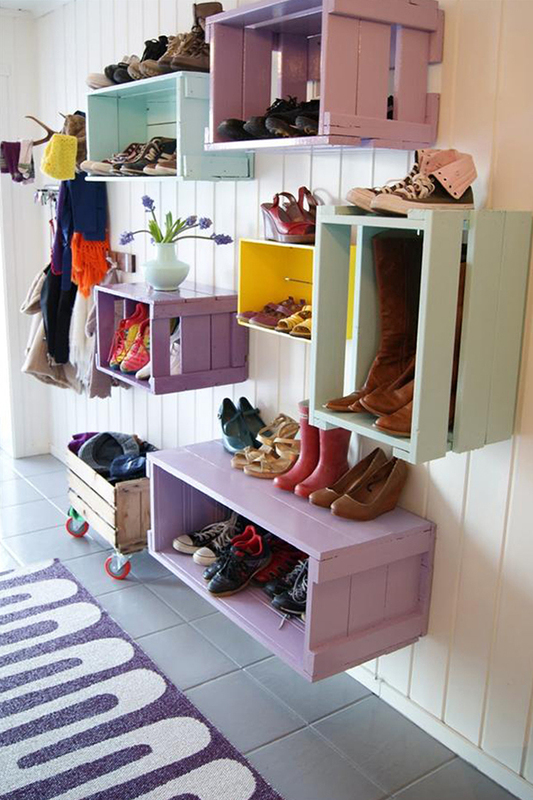 If you can see a milk jug container just left unused in the corner, why not make some cool storage like this? 18. 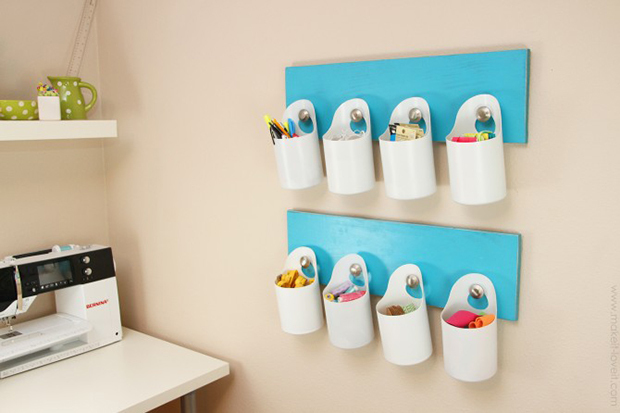 Use old plastic bottles or shampoo containers to make this hanging storage. Easy and beautiful! 19. 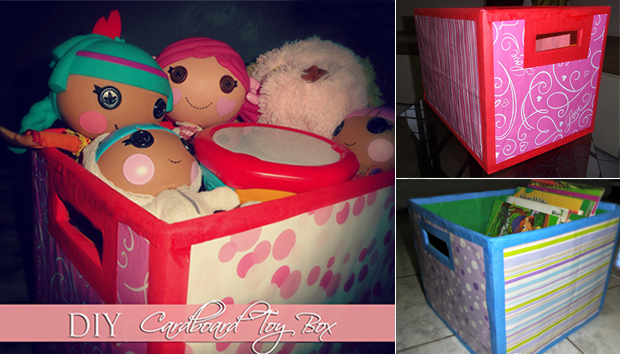 Once upon a time, a diaper box looked boring but one day, it was wrapped with canvass and became an eye candy storage box! 20.I so love this one! 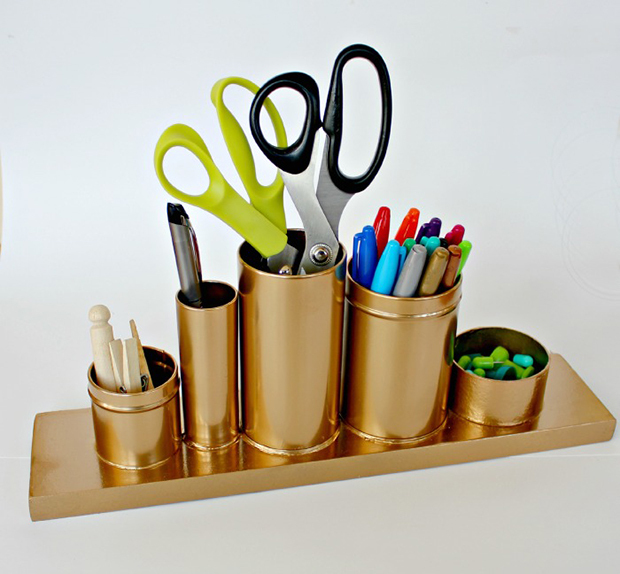 I love anything gold but this Anthropologie gold desk hack is amazing! 21. 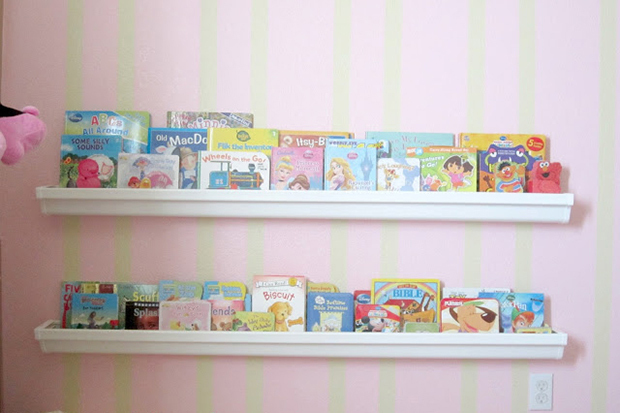 First look at this one will make you think that it is just an ordinary shelf but you are wrong. It is made from rain gutter! Great idea indeed! 22. 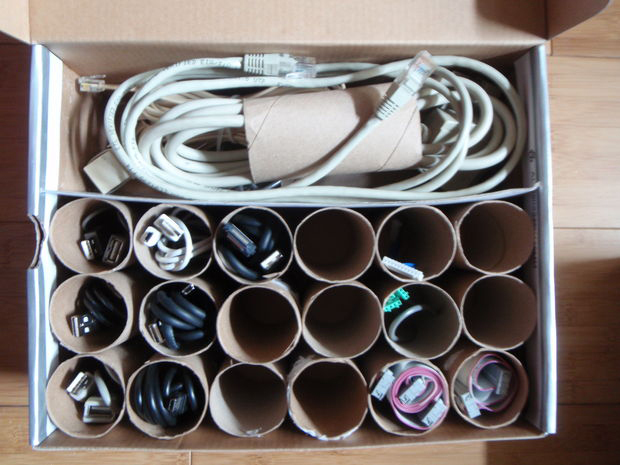 Make your own Roll Organizer Box where you can keep wires and cords. 23. 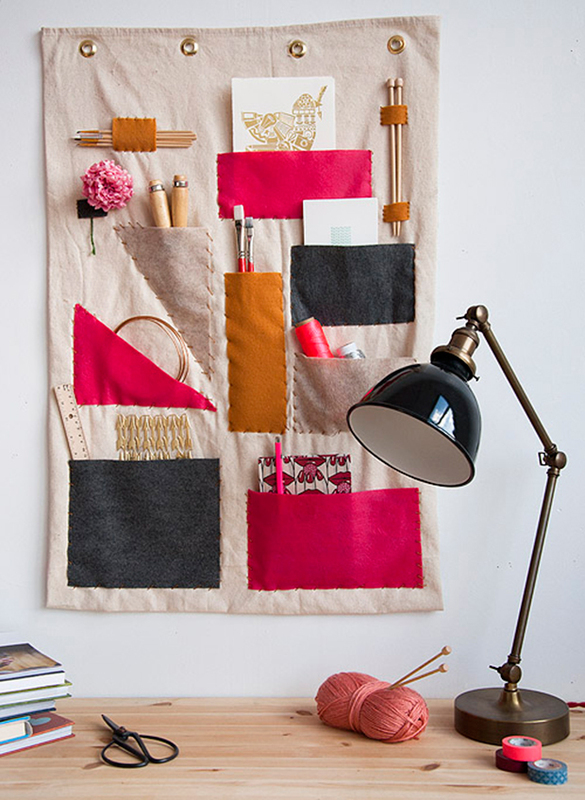 Sew pockets of different sizes and shapes into a fabric and hang it on a wall. 24. 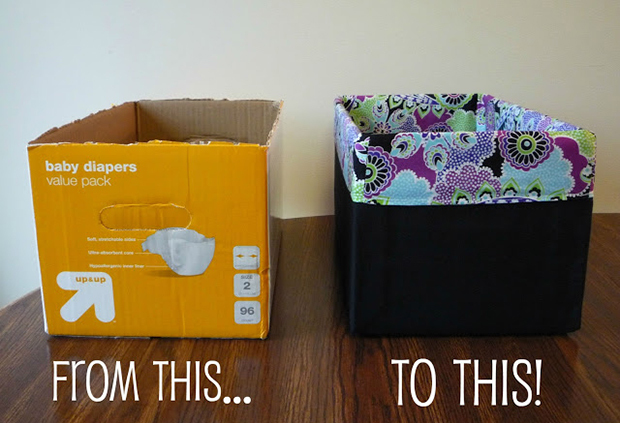 Turn those cardboard boxes into colorful storage using scrap wrapping papers. 25. 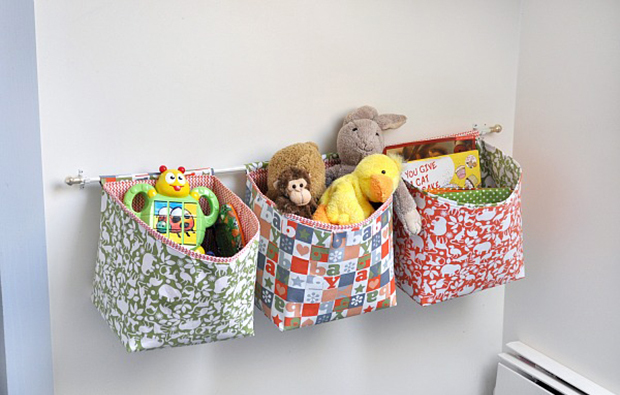 For small spaces, a hanging fabric toy storage will be a great idea and easy to make. 26. 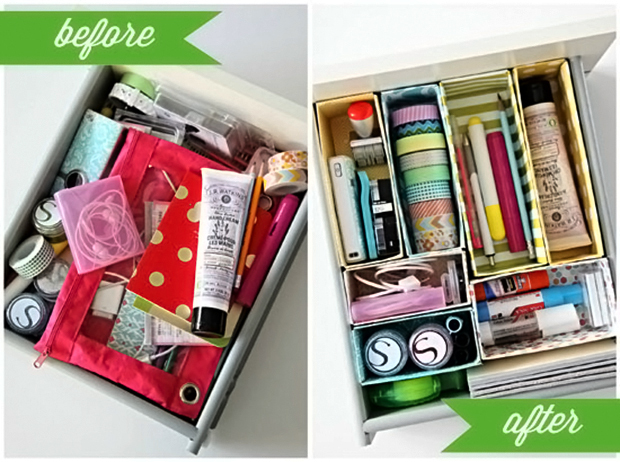 This DIY Tin Cady will let you get everything you need for work in just one container. 27. 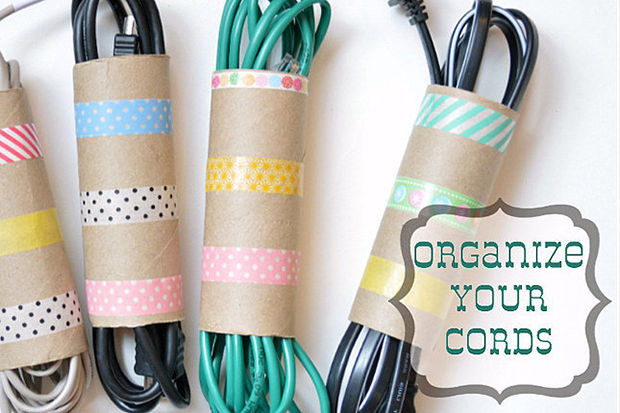 Grab long strips of paper or even wallpaper or gift wraps and make a recycled paper basket! 28. 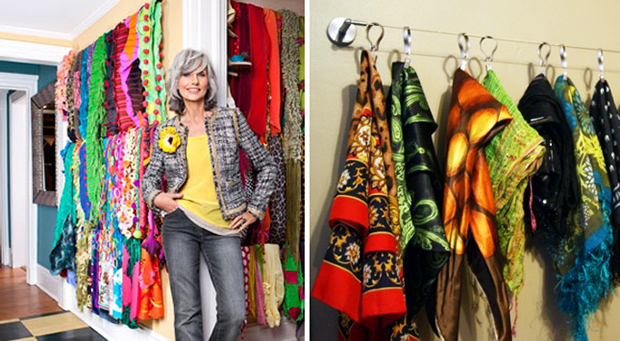 Another way to store scarves is using a curtain rod and you will turn them into a lovely work of art. 29. 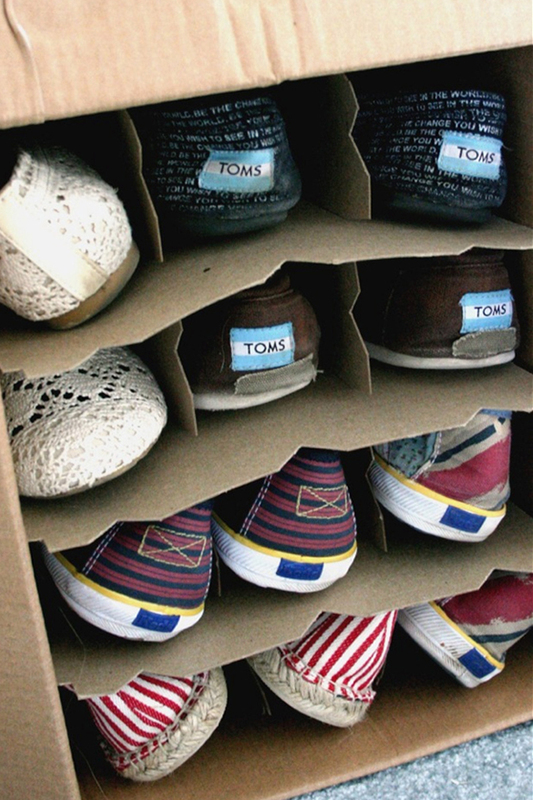 You can save space in storing your shoes by using a wine storage box. They will also look neat too. 30. 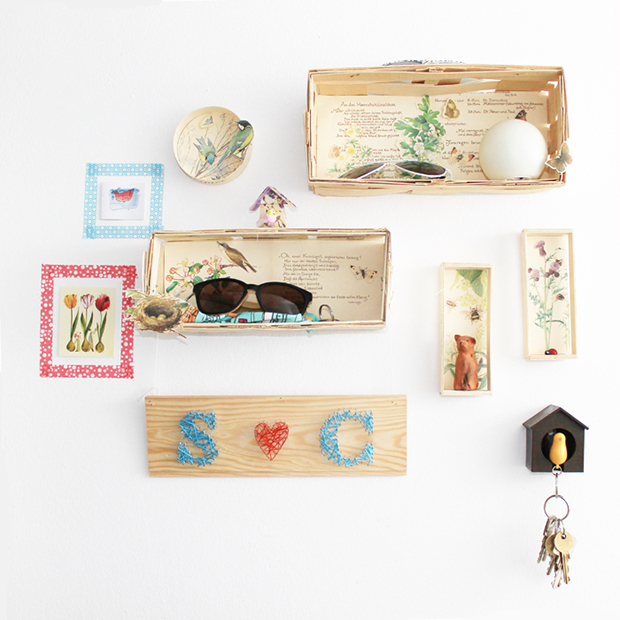 Wooden baskets plus some artistic decors resulted into a creative wall with storage. After seeing this list, start gathering those tin cans, boxes and even tissue roll papers. I am sure you will be able to make some useful stuffs from them because of the ideas you got from the list above. Try to look around your house and check what you need to organize your stuff. Then instead of buying, make a box or whatever that you need! Love this round-up? Go ahead and share this with other organization freaks!